Omar Atrash, 24, charged with multiple bombings in Lebanon and rocket fire on Israel. Lebanese Sheikh Omar Atrash, 24, has confessed to helping transport bombs and terrorists to aid in attacks in Syria, Lebanon and Israel, The Daily Star reports Friday. The Sunni preacher disclosed that he had ties to some of Syria's most violent rebel groups, including the Al Qaeda-backed Islamic State of Iraq and the Levant (ISIS), the Al-Nusra Front, and the Abdullah Azzam Brigades. Atrash and 12 other wanted fugitives are being held in Lebanon over terrorism charges. The 12 include not only Lebanese nationals, but also several Syrians and Palestinian Arabs. All are charged with recruiting potential terrorists, arms smuggling from Syria to Lebanon, and detonating car bombs in both countries. Specifically, they are accused of placing car bomb traps in a number of attacks on Lebanese soil, including the January 2 and January 21 car bombings in Hezbollah-linked areas of Beirut. Charges against them were brought by Judge Saqr Saqr, Lebanon's military prosecutor, according to the Star. Atrash specifically confessed to at least one attack against Israel: he bought the rockets fired into Israel from Lebanon on August 22, 2013. The rockets were smuggled into Lebanon from Syria, according to a statement. Hezbollah's decision to intervene in Syria has fueled tensions in Lebanon, which is bitterly divided over the war. 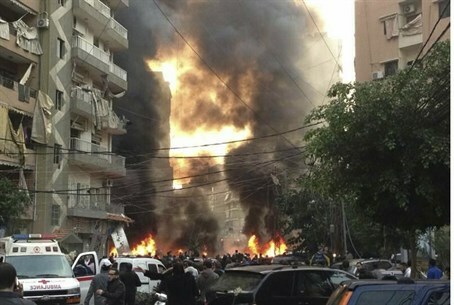 Its stronghold in the southern suburbs of Beirut was hit by two car bombings this summer, one of which killed 27 people. Bombings in the mainly Sunni northern city of Tripoli in late August also killed 45 people, and ongoing fighting in that city between rival militias supporting different sides in the Syrian civil war have killed scores more.